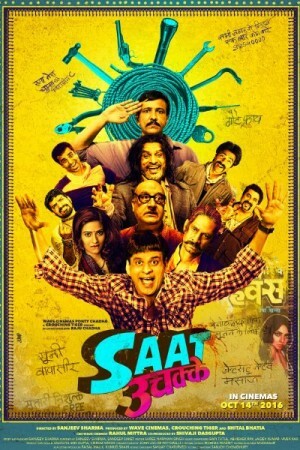 Saat Uchakkey is an Indian comedy film based in old Delhi and tells the story of the middle class life people lead in there. Pappi is an average Delhiite looking to make it big with his luck as he has lost everything in lotteries. Pappi is in love with Sona, whose mother is keen on getting her married to a rich family, not someone like Pappi. On the other hand, Pappi now have his eyes on the grand mansion of Deewan saab where he thinks some sort of treasure is hidden. The film produces some comedic moments as Pappi, along with his two friends, goes on to locate the treasure.